One in every four Africans—nearly 218 million people—is undernourished, according to the UNDP. Sub-Saharan Africa’s current economic growth averages about five to six percent every year, officials with the UNDP have said. 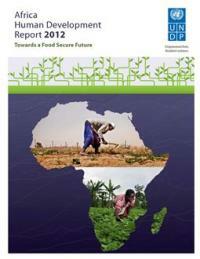 “Impressive GDP growth rates in Africa have not translated into the elimination of hunger and malnutrition. Inclusive growth and people-centered approaches to food security are needed,” Helen Clark, administrator of the UN Development Programme, told UN News Culture after the release of the UNDP’s report. Many of the issues Africa faces today, like food security, are not new. Many African countries continue to receive local and international funding to support programs that are expected to address what some consider to be the most pressing issues: poverty, chronic hunger, disease, ignorance, and illiteracy. While there has been some progress in areas like infrastructure development, there is still a great need for African governments to meet the basic needs and uphold fundamental human rights of the majority of its people despite millions of dollars in funding for programs geared towards addressing these issues. There is also a critical need for the public and private sectors to partner in investing in Africa’s human capital to help address these issues. The UNDP’s 2012 report and the World Bank’s findings both reflect significant social and economic inequities that continue to negatively impact overall progress in human development in Africa. Both sources indicate the need to do better in meeting the needs of children, youth, women and the poor—a reflection of existing systems that have neglected the majority of the African population, which continues to languish in poverty and is afflicted by chronic hunger. In the vide Why Should Africa Invest in People Now?, World Bank Director of Human Development Ritva Reinikka laments that much of the focus in development in Africa has been on addressing the infrastructure gap and energy as opposed to investing in human capital, like developing skills, educating people, and ensuring healthy populations. Reinikka points out that Africa has the largest number of young people that now live in new democracies and require skills and opportunities, like jobs. Reinikka posits that education, healthcare, and social protection systems are critical because they provide opportunities for young people and whole populations, but many of these systems in Africa are weak and have failed to provide the opportunities they should despite the large amounts of public funding they receive. Nussabum argued that “our dominant theories of development have given us policies that ignore our basic human needs for dignity and self-respect.” She proposes an “alternative model to assess human development: the capabilities approach,” which begins by asking simple questions, such as: What is each person actually able to do and to be? What real opportunities are available to them? I wonder what role Africa’s organizational leaders in both the private and public sector can play in helping build the capacity, systems, structures, processes, policies and practices that would help answer these questions. To be continued in a future posting.